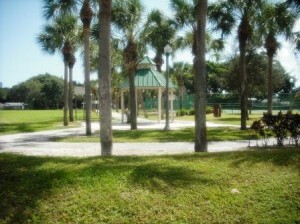 The City of West Palm Beach opened this 4.1 acre park to honor Judge Curtis Chillingworth who sadly was murdered in 1955. 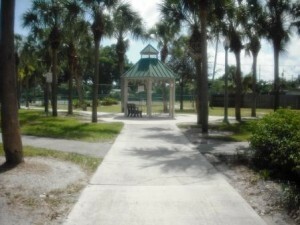 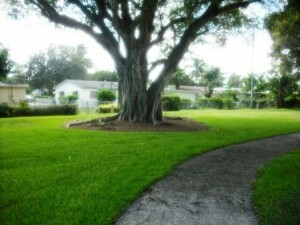 Chillingworth Park is located at Ware Drive and Erie Place between Okeechobee Blvd. 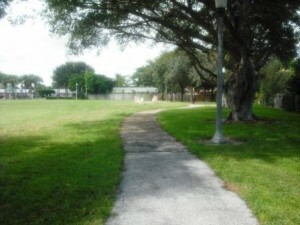 and Palm Beach Lakes Blvd. 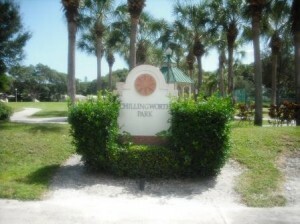 It is surrounded by nice homes with access walking entry to the park from S. Chillingworth Drive. 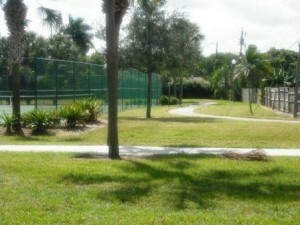 Paved walkway all around the park with benches and some welcomed shade trees. 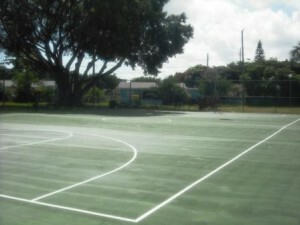 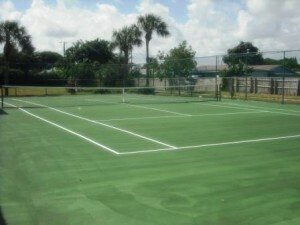 Tennis and basketball courts, gazebo, pavilion with tables and chairs and a nice playground for the children. 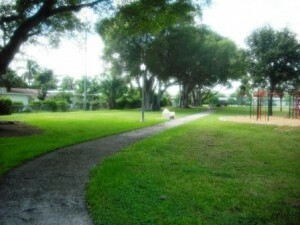 A good size grass area for kids to run around. 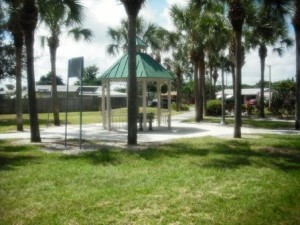 There are no restrooms but water fountains are available. 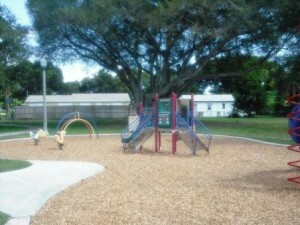 Chillingworth Park has everything a neighborhood park needs and perhaps there will be restrooms added in the future. 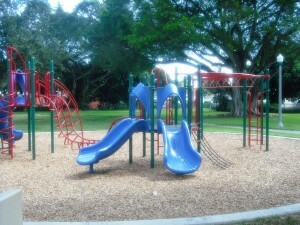 Overall this is a pretty nice park if you live in the area.